The Shift Power Solutions Universal AC/DC Converter Box is designed to meet several non traditional electrical requirements simultaneously. 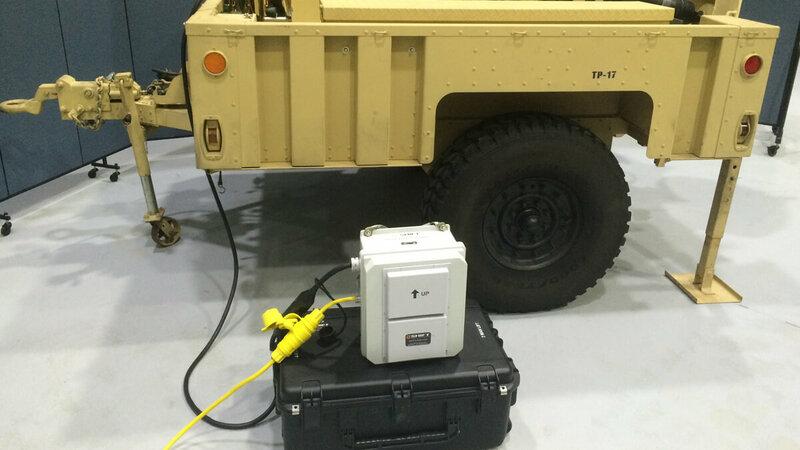 Power conversion to DC, weatherproofed enclosure, operations in expeditionary environments and transportability. Compact and simplistic operations power converter box is designed to operate in the most harsh environments with continuous service. This converter can take in all forms of AC power from 80 Volt to 250 volts and then convert to 12/24 VDC with up to 60 AMPs of current available. 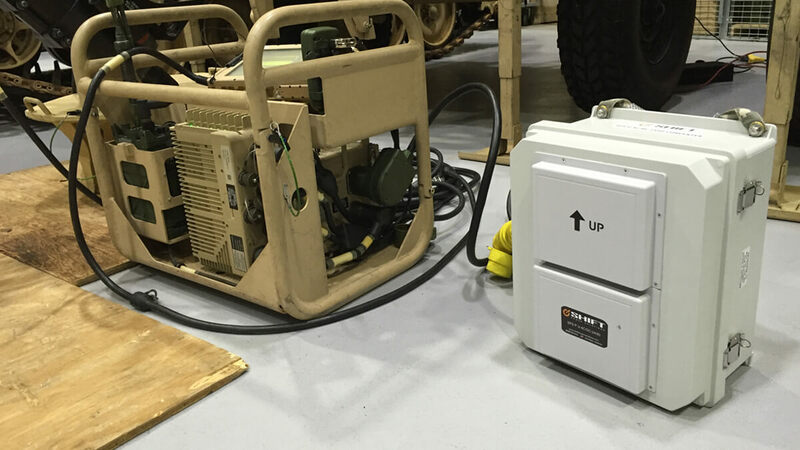 Source power from grid or local generators can be used as an alternate source of power for all in vehicle systems through the NATO slave cable receptacle. 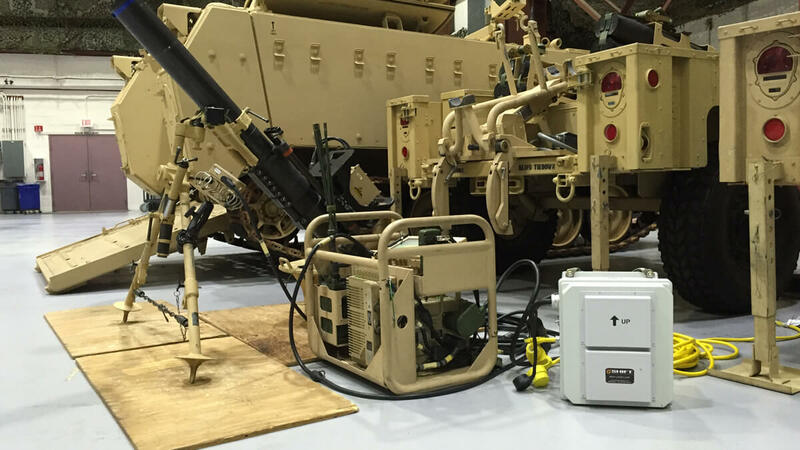 Ideally suited to be used in expeditionary roles where local power generation is available and in vehicle systems are still required. 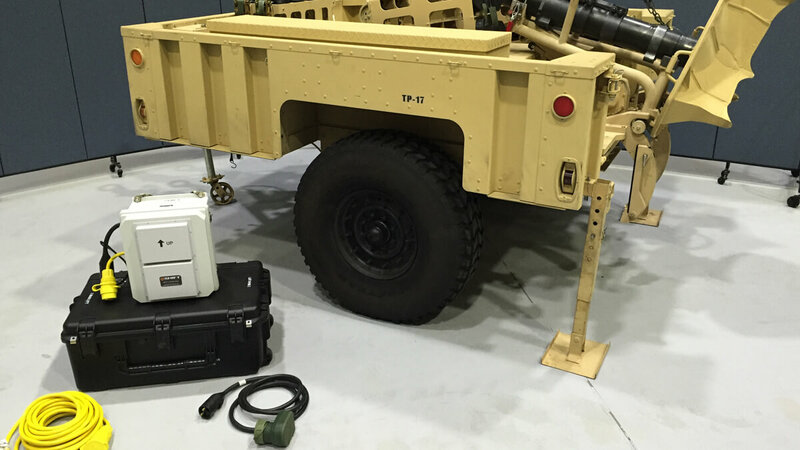 120mm Towed Mortar Weapon System to include the M326 120mm Mortar Stowage Kit (MSK) mounted on the M1101 Light Tactical Trailer (LTT).